In a video statement last Friday, MP Raj Grewal said he was rethinking his resignation and would make a final decision by January. Conservative and NDP MPs are hoping to call senior Liberal officials and Canada’s top bureaucrat in front of a committee of the House of Commons to find out what they know about an RCMP investigation into MP Raj Grewal. The Opposition MPs on the ethics committee of the House are calling for an emergency meeting in which the Clerk of the Privy Council, Michael Wernick, and two top advisers in the Prime Minister’s Office, Katie Telford and Gerald Butts, would provide further details on interactions with the RCMP in this case earlier this year. The matter will be debated on Thursday, but it remains unknown whether the Liberal majority on the committee will support the opposition request. “We’re anticipating a discussion and I would hope that at least some of the members will see this as a fair and reasonable request,” said Conservative MP Peter Kent. 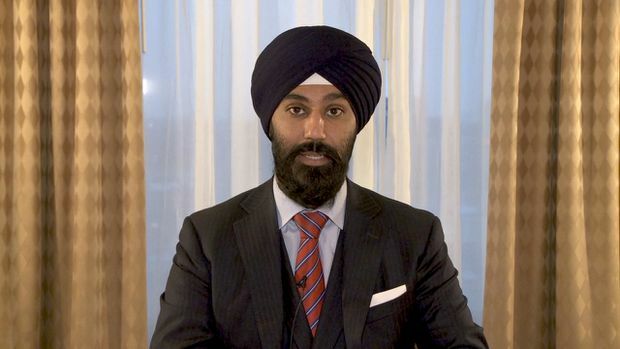 Mr. Grewal has acknowledged having a gambling problem and incurring millions of dollars in debt since his election as the Liberal MP for Brampton East in 2015. On Nov. 19, Mr. Grewal informed the PMO about the nature of his problems, and it was decided later that week that he would resign as an MP. Last Friday, Mr. Grewal said he was rethinking his resignation and would make a final decision by January. For now, he is sitting as an independent. The opposition wants to find out what exactly happened when the RCMP reached out to the PMO earlier this year to discuss an issue involving Mr. Grewal. According to the PMO, the questions were related to Mr. Grewal’s role in bringing Yusuf Yenilmez, chief executive of construction firm Zgemi Inc., to an event featuring Prime Minister Justin Trudeau in India in February. Mr. Yenilmez’s company paid Mr. Grewal employment income while he was an MP, and is a co-debtor on a vehicle loan. Mr. Kent said that finding out what was discussed between the PMO and the RCMP is essential to determine whether the Liberals should have removed Mr. Grewal from his position on the finance committee of the House. Between February and June of this year, Mr. Grewal asked pointed questions on the issue of money laundering to officials from the RCMP and the Financial Transactions and Reports Analysis Centre of Canada, a federal agency that tracks financial transactions of more than $10,000. In a video statement last Friday, Mr. Grewal denied any wrongdoing. “To infer that my motivations were unethical or that I was using a chance opportunity to figure out if FINTRAC was aware of my gambling is to stretch reality and take the situation completely out of context,” he said.